This resource was assembled for the primary purpose of serving the research needs of students and investigators in the field of redox biology. Redox biology is wide-ranging and complex and can present significant challenges to investigators seeking to address research questions in biological systems. 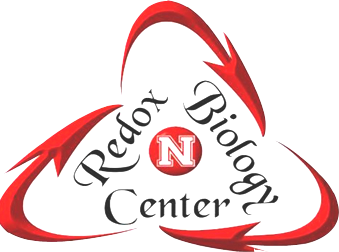 Our goal is provide information on the basic principles of redox biology and links to important research resources. For example, a page is devoted to reactive oxygen species highlighting the chemical properties and methods of detection for different reactive oxygen species. In addition, functional and structural information is provided for key redox enzymes/proteins as well as properties of redox metals. Links to various bioinformatics tools are also available which allow researchers to search for selenoproteins, metal binding proteins, redox active cysteines, and glutathionylation sites in proteins. Finally, we have a page devoted to advances in redox medicine with a primary focus on cancer, diabetes, aging, and neurodegeneration. We trust that this portal will be useful for researchers in redox biology as well as the general public. In addition, you can read our Redox Biochemistry Book. This site is supported by the Nebraska Redox Biology Center, University of Nebraska-Lincoln Computational Sciences Initiative, and in part by the National Institutes of Health Grant 5P30GM103335. The content of this site are solely the responsibility of the University of Nebraska-Lincoln and do not necessarily represent the official views of the NIH.